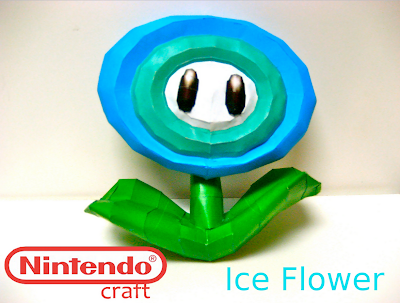 Ice flowers are found in the New Super Mario Bros. game for the Wii. They are similar to Fire Flowers but instead they shoot ice balls. Ice Flowers can do damage to Dry Bones unlike Fire Flowers. Start at the middle of the leaves and work your way to the tips. Then, make the stem and work your way to the face and finish with the eyes.